In the summer of 1997, as a jazz vocalist with a strong background in dance, Gabriele Tranch ina was searching for a way to share her knowledge with the next generation. At the suggestion of a close friend, she attended a training program to become a Music Together® Teacher. Upon completion of the training, Ms. Tranchina was approved for a license to open a Music Together® center in Morningside Heights on 114 St and Broadway. The first class consisted of 7 families. From that point on, the number of families steadily increased. In 1999, Tiana Norgren, of the Children’s Play Club of Morningside Gardens, approached Gabriele with the prospect of holding Saturday classes there. The Morningside Garden Community is offering families of moderate income the possibility of buying corporate apartments for an affordable rate. Together with the MG Play Club group, Sol La Ti’s Music Together has been able to offer classes to the MG residents on Saturdays at a discounted price. The Saturday morning classes have been ongoing, enabling families of moderate income to enjoy this highly educational program with their children. To find out how Sol La Ti got started and lived through 9/11 and more: HERE. As many families from the Harlem community were in need of a location further uptown, a third location was started in the Spring of 2003 at the Harlem School of the Arts. Judith Staack, a Harlem parent, musician and educator made possible this wonderful connection for the community of Harlem Heights/West Harlem. In 2015 another Harlem location was added at the Church of the Master in Central Harlem. Currently Ms Tranchina is reaching out to partner organizations in the Harlem community in order to help the families in Harlem of lower income receive the Music Together curriculum. In connection with Heidi Arthur, a Harlem parent and social worker, she has connected with Arts Horizon, GEMS and the “Its About The Children” foundation. In addition she is trying to bring Music Together to the Preschools in the communities she is serving, also in hopes of reaching out to children and families of all backgrounds. Budding Blossoms Daycare, a Harlem based day care and Sheltering Arms Headstart program in the Bronx are currently enjoying the Music Together Preschool curriculum. Over the years Ms Tranchina has enabled many families of lower and moderate income to receive scholarships and work scholarships at her own expense. Due to the current crisis on Wall Street she is currently sponsoring 15 families. Some of those families have lost their jobs, others are currently students at Columbia University or City College, and some are artists, social workers and nannies. An additional 6 families of the Morningside Gardens community receive the Music Together program at a reduced rate. Aside from the creation of MT Preschool, Music Together teamed up with Tom Foote and his Rhythm Kids™ in 2015. Together they created a wonderful addition to the regular Music Together classes for children ages 4-5 and 6-7. 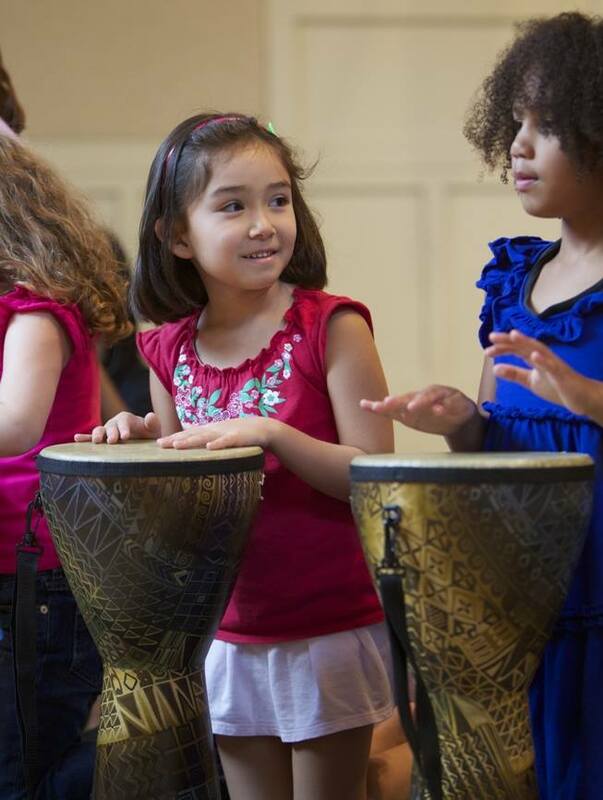 Sol La Ti’s Music Together is proud to be offering the PreRhythm kids classes at our BPC location. In the summer of 2016, Music Together teamed added a Spanish immersion program to its offerings called Cantar Y Bailar Conmigo. From Fall 2016 on we will be offering this program to our schedule. As one of the smaller centers in Manhattan, the emphasis of these four locations is a very personal one. In addition to teaching the Music Together classes, our staff is interested in tightening the community bond, helping to create a feeling of a cozy neighborhood within the Big Apple. Many play dates and friendships start in class, and parents and caregivers feel welcome in a comfortable and relaxed setting. We are proud to say that the families who join our locations successfully understand the value of active participation in class. 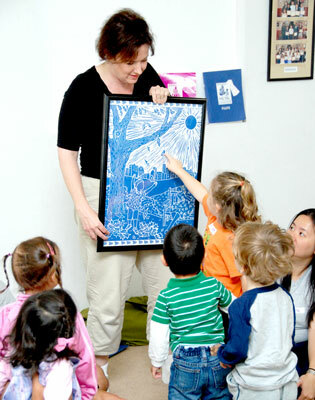 Their joyful contributions enable us to hold great classes. This wonderful class experience, accompanied by the reinforcement of the songs at home, results in the children finding joy in music, dance and music making. This joy can follow them for a lifetime. We hope to help our next generation to become active music makers, more aware of the quality of music and its diversity. “Just a little note to let you know how much you are loved and appreciated! You have been a wonderful influence in Annike’s life – helping her not only appreciate music, but to be comfortable and even confident around others, to be generous and kind to other children, and to enjoy helping out (yes, she is your assistant on Wednesdays, but she has brought this spirit home with her and to us too! ).